Alvina Ling and Nikki Garcia at Little, Brown have bought author-illustrator Jin Xiaojing's I Miss My Grandpa, a picture book in which a child asks different family members about her late grandfather and learns his characteristics through the various features he passed down to his kin. Xiaojing was the winner of the 2017 Little, Brown Emerging Artist Award. Publication is planned for 2019; Hannah Mann at Writers House did the deal for world rights. NEW YORK, NY (June 16, 2017)—Little, Brown Books for Young Readers announces Jin Xiaojing as the winner of the first Little, Brown Emerging Artist Award. This initiative seeks promising new talent and encourages the development of high-quality picture books that resonate with readers of diverse backgrounds and experiences. The program will provide Xiaojing with a valuable day of mentorship by acclaimed illustrator Jerry Pinkney and children’s book professionals, and a monetary prize. Submissions to the Little, Brown Emerging Artist Award were judged based on the quality of their text, art, and storytelling; the manner in which they supported the award’s diversity mission; and the originality and creativity of their work. 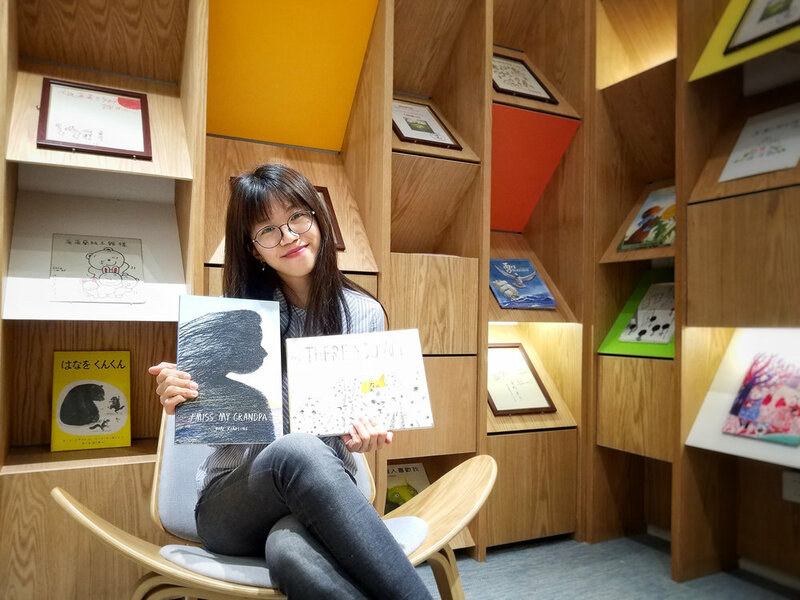 Xiaojing was selected by a panel of three representatives from the Little, Brown Books for Young Readers editorial and design team along with artist mentor Jerry Pinkney. For more information, visit LBArtistAward.com. The details of next year’s Emerging Artist Award contest will be posted at LBArtistAward.com in September. Jerry Pinkney was recently awarded the Laura Ingalls Wilder Medal and the Coretta Scott King–Virginia Hamilton Award for Lifetime Achievement. He also has the rare distinction of being the recipient of five Caldecott Honors, and is the winner of the 2010 Caldecott Medal for The Lion & the Mouse, published by Little, Brown Books for Young Readers. Pinkney has won the Coretta Scott King Award five times and the Coretta Scott King Honor four times, has been named to the New York Times Best Illustrated Children’s Books list five times, and has been nominated for the prestigious Hans Christian Andersen Award. He was also the first children’s book illustrator elected to the American Academy of Arts & Sciences. Pinkney has been illustrating children’s books since 1964 and has over one hundred titles to his name. In addition to his work in children’s books, he has had over thirty one-man exhibitions in such venues as the Art Institute of Chicago; the Schomburg Center for Research in Black Culture in New York, New York; the Norman Rockwell Museum in Stockbridge, Massachusetts; the Philadelphia Museum of Art; and many more. Pinkney has been called “an unparalleled artist” (Kirkus Reviews). He lives in Croton-on-Hudson, New York. Little, Brown Books for Young Readers publishes a boutique, acclaimed picture book list featuring a wide variety of topics, genres, and art styles. The award judges from our publishing team include senior-level art directors and editors with decades of experience, all of whom have worked on multiple Caldecott award recipients, national bestsellers, classic children’s book characters, and New York Times Best Illustrated Children’s Book recipients on our backlist. Releasing approximately two dozen new hardcover titles per year, Little, Brown Books for Young Readers’ carefully curated collection of picture books seeks to balance depth, diversity, and genuine child appeal to create accessible stories worthy of multiple readings. Caldecott Medalist and five-time Caldecott Honor artist Jerry Pinkney will act as a judge and the inaugural artist mentor for the first annual Little, Brown Emerging Artist Award, recognizing new illustration talent and encouraging the development of high-quality picture books that resonate with readers of diverse backgrounds. In March 2017, the winner will be selected by a panel of jurors that includes Pinkney and three members of the Little, Brown Books for Young Readers editorial team. Diversity is, in fact, the keynote of the initiative. The publisher expects qualifying submissions to draw from this country’s rich cultural experiences, manifested in character, theme, setting, or plot. Diversity also extends to the inclusion of characters of unrepresented ethnicity, religious belief, gender identity, class, and mental or physical disability.